Christopher was appointed to the trumpet section of the Hong Kong Philharmonic Orchestra by Edo de Waart in 2005. His musical journey began at eight years old with cornet lessons from his father at the Worthing Salvation Army Brass Band, and he later fulfilled a boyhood ambition by becoming a member of the International Staff Band. His first exposure to orchestral trumpet playing came at age 16 through membership of the Brighton Youth Orchestra. He commenced undergraduate studies at the Royal College of Music which included an exchange year at the Manhattan School of Music. On completing postgraduate studies at the Royal Academy of Music he also received the coveted Dip RAM award “for an outstanding final recital.” His professors included Malcolm Smith, Andrew Crowley, Robert Sullivan, Paul Beniston, Paul Archibald, Howard Snell and James Watson. As a member of the Hong Kong Philharmonic, Christopher was singled out by the South China Morning Post for his “brilliantly executed” posthorn solo in Mahler's Third Symphony conducted by Edo de Waart. 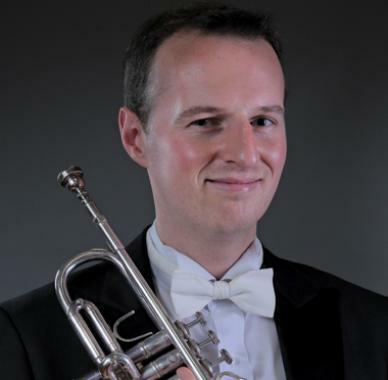 He has performed as guest principal trumpet with the Hallé Orchestra at the BBC Proms, the Malaysian Philharmonic, the Singapore Symphony, the Macau Orchestra, and has also worked with the Ulster Orchestra and the European Union Chamber Orchestra. Christopher is a keen soloist and his 2014 sell-out recital entitled "Cool Britannia" was featured on the RTHK's The Works. As a studio artist Christopher can be heard on releases by Cantopop stars Ivana Wong and Hacken Lee, and on the soundtrack to the 2015 Derek Kwok movie Full Strike where his name also appears in the closing credits. In the field of education Christopher holds the LRAM teaching diploma and serves on the faculties of the Hong Kong Academy for Performing Arts, Hong Kong Baptist University and Chinese University of Hong Kong. He has also been a guest teacher at the Yong Siew Toh Conservatory in Singapore and the Silpakorn University in Bangkok. He is a trumpet artist for Conn-Selmer and performs on Vincent Bach “Stradivarius” and “Artisan” trumpets.